As a little kid I always enjoyed playing with lego blocks. I would spend hours assembly what I considered to be mechanical masterpieces only to tear them apart again and build something else. I know many other engineers have had similar experiences as kids. However, while I've always thought of legos as good for building cars, boats, planes and other similar such things. What I never thought about was using them in a slightly more err... artistic (?) manner. 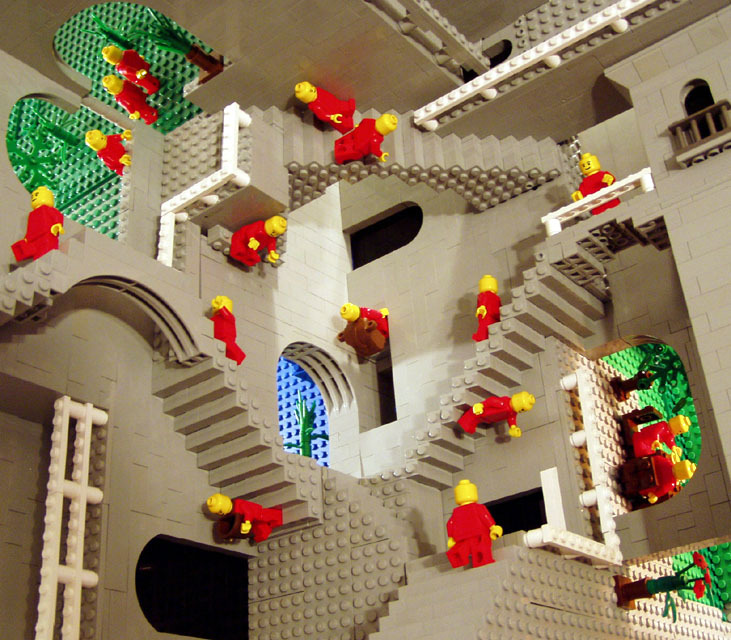 Escher's Relativity! Go check it out! I always enjoyed playing with legos too! Maybe I should have been an engineer. I especially liked building pyramids.